So I will be the first to admit that I do not spend enough time in the Word with my son. I will save you from all the excuses that I have, some you may have used yourself, and instead I will tell you what I have found that helps us have some quality time each week in Bible Study. My 4 year-old has started joining me. So after we finish, I break out his Awana Cubbies book and we do the lesson and Bible Study for the next week and discuss his memory verse. This week's devotion was about Jesus as our Shepherd and went hand in hand with the lesson in his Cubbies book for this week! I highly recommend this book if you have kids who enjoy coloring and you do as well. It's a great way to have them sit for just a bit and discuss God together. 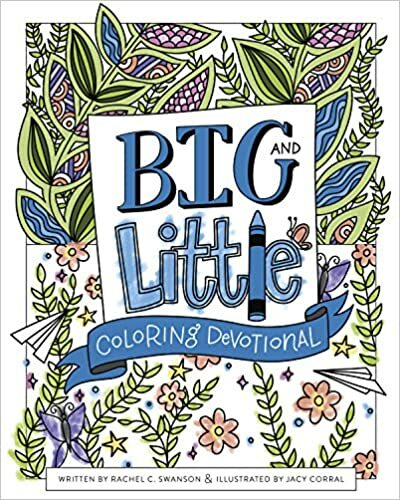 The Big and Little Coloring Devotional is available on Amazon or other retailers. If you get a copy of this book, comment below and let me know how it has impacted quality devotional time with your kids!